Captivate and convey who you are. Don't just list accomplishments. Make hiring managers want to meet you. Tip #1: Think strategically... not structurally. When creating your resume, you need to think strategically. The trap is people think structurally and think that filling in the blanks is what makes a resume and so they hope for the best. Market your value. Your potential employer needs to know not just what you've done but how well you've done it. Include it, even if you haven't finished it yet. 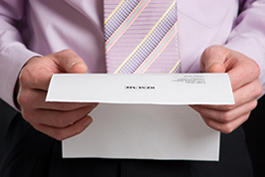 Resumes That Sell: So What? Make Me Care! Do It Fast! How to build a great resume "Profile"
Wendy Enelow & Louise Kursmark, the authors of Modernize Your Resume - Get Noticed... Get Hired share their favorite techniques in bringing resumes up to speed for today's competitive job search market. Format is the structure and layout of your resume. It is how you organize and present the information so that employers can easily understand who you are, what you do, where you''ve done it and most important consideration of all, how you can help them. Why is design so important? The physical appearance of your resume dramatically effects how your readers perceive you. First impressions are powerful and studies have shown, they are indelible. You want to make your resume a marketing asset that makes your case for a new direction. The strict requirements of a one-page on-campus resume template has limitations. In this video, Ross Macpherson shows how your resume and LinkedIn profile should be aligned: where they can be similar and where they should be different; what to do and what not to do. Developed by Trader's Edge LLC.